Stylish, practical and versatile, Hart Windows can offer its customers a superior range of UPVC casement windows. Designed to the very highest levels of security and energy efficiency, our stunning range of products will make a superb addition to any home. Contact us for further details or a free uPVC casement window quote. Based in Fleet, Hampshire, Hart Windows provide uPVC casement windows to homeowners. Our windows are available with astragal bars and Georgian bars for those who are looking to add character. You’ll also be able to choose from an extensive configuration of openings, colours, glass styles and hardware. uPVC casement windows offer slim sightlines, which look aesthetically outstanding and maximise light. Stylish and modern, our uPVC casement windows will enhance the appearance of your home and increase its market appeal. Our uPVC casement windows are Energy Saving Trust Recommended. Featuring Liniar’s revolutionary multi-chambered profile, our UPVC casement windows achieve an energy rating as high as A+12. This means you benefit from extremely high thermal efficiency. 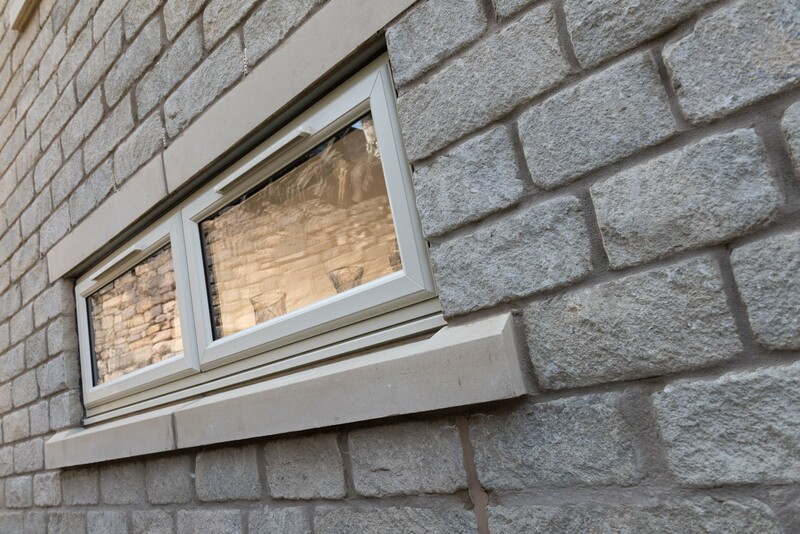 Our uPVC casement windows are 100% lead-free and recyclable. When you choose Hart Windows, you’ll benefit from a technologically advanced profile that meets EU and UK legislation, meaning you’ll reduce your carbon footprint and help the environment. You have probably worked hard to achieve a great deal in your home and having the right windows for your property, will make a huge difference, not only to the cosmetic beauty of your home but also the added security new secure windows will bring. Despite looking the same, the quality of UPVC casement windows varies from company to company. At Hart Windows, you’re guaranteed that your product will be of the highest quality. All our windows have an insurance backed guarantee and are built to the highest specifications, which means they’re built to last. Our UPVC casement windows continue to be popular, as they come in many colours – including white, warm mahogany, golden oak and rosewood. They require little or no maintenance, don’t warp, flake or peel and the thermal insulation provided makes them 60% more energy efficient than older casement windows. We’ve carefully chosen the best casement windows available to ensure our customers benefit from long-lasting products that’ll bring their homes to life in every sense. Liniar uPVC casement windows feature a six-chamber thermally broken profile that will keep your home comfortable. The innovative locking mechanism fitted into your windows’ profile as standard will meet PAS: 24 2012 requirements, so you’ll be well-protected. The low frame-to-glass ratio will, in the meantime, reward you with stunning sightlines and views. Casement windows manufactured by Liniar, and installed by us at Hart Windows, are designed to last. They won’t break, rot or warp in response to extreme weather conditions and will instead continue to deliver outstanding performance long into the future. We’ll also help you customise your installation by introducing you to our range of colours, foils, hardware and accessories. If you’re looking for something more unique than our standard casement windows, we can use more than one casement style to create a classic bow or bay window. Keep your home well-protected when you ask us to install uPVC casement windows fabricated by REHAU. These energy efficient products meet the stringent criteria of Secured by Design, which means they’ve been approved by the British Police. Their captivating designs will also help your property to effortlessly stand out from others in your area. If you’d like to know more about our range of casement windows, use our contact page to get in touch or visit our free online quoting tool to generate guideline prices. With three decades of double glazing industry experience, we’re well positioned to help you choose your new uPVC casement windows. When contacting us, please feel free to ask about our other double-glazing products, including doors, conservatories and conservatory roofs. Hart Windows is based in Fleet, Hampshire and offer friendly advice and guidance when you are trying to decide on which windows will be suitable for your home. For further information or technical advice regarding our UPVC casement windows, get in touch online or call us on 01252 623 404. You can use our online quoting engine to generate a bespoke casement window guide price. Our UPVC casement windows deliver superb thermal performance. Once installed, your new windows will reward you with a perfectly balanced environment that’s never too hot or cold. You’ll also notice a reduction in your lower bills and your carbon footprint will decrease. Protecting your home from unauthorised entry is your first property when researching the best UPVC casement windows. Our products won’t let you down. Using fully up-to-date hinges and locking mechanisms, they’ll block almost all attempts to access your home illegally. Designing uPVC casement windows that complement the age, style and size of your home will be easy when you choose Hart Windows as your installer. We’ll help you choose the right colours, woodgrain foils, accessories and hardware- resulting in windows you’ll be proud of.